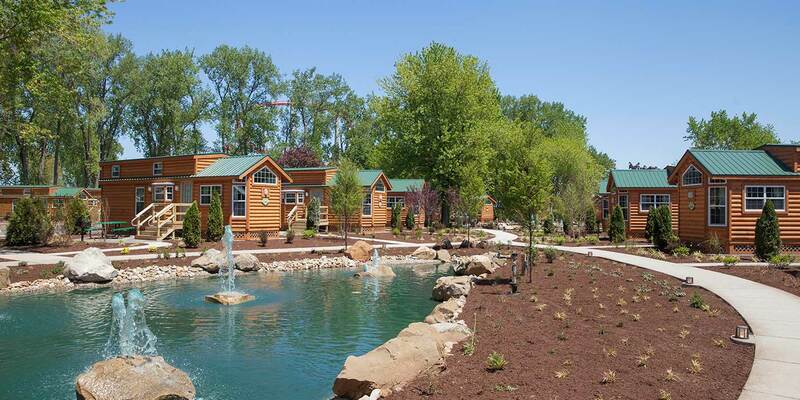 Luxury RV Sites, Cottages and Cabins. 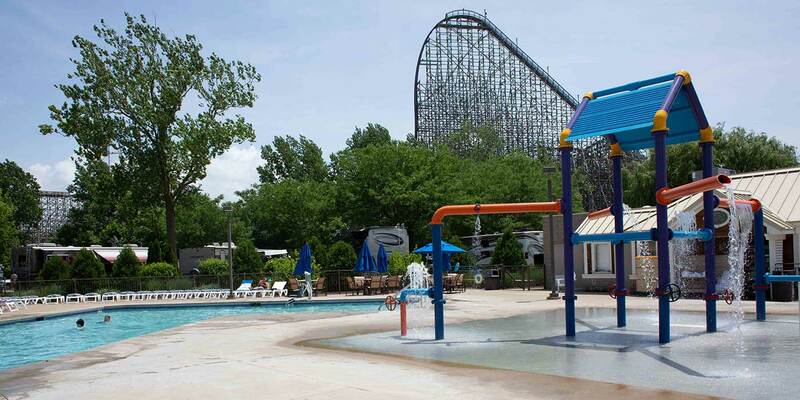 Located just a short walk from Cedar Point and Cedar Point Shores. 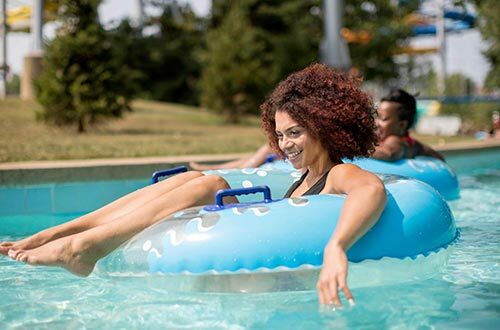 This relaxing space features full hook-up luxury RV sites plus 25 all-new ultimate patio sites along with waterfront cottages, inland cabins and ten person deluxe cabins. 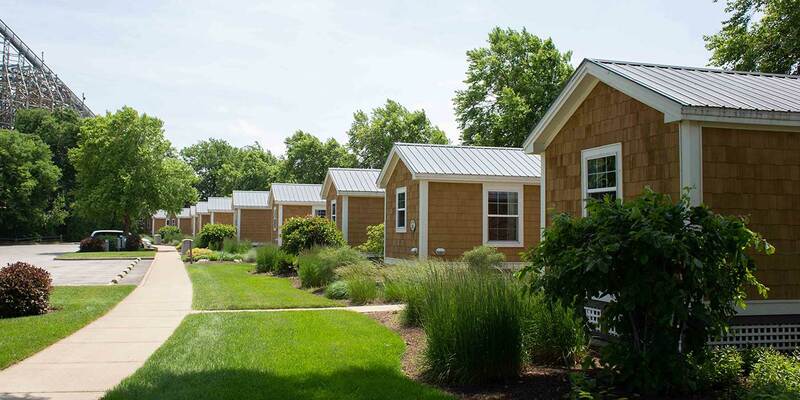 Each tiny home features upgraded bedding, multiple televisions with cable, full linen services, mini-fridge, microwave, coffee maker and private bathrooms. All accommodations include outdoor seating and a charcoal grill. 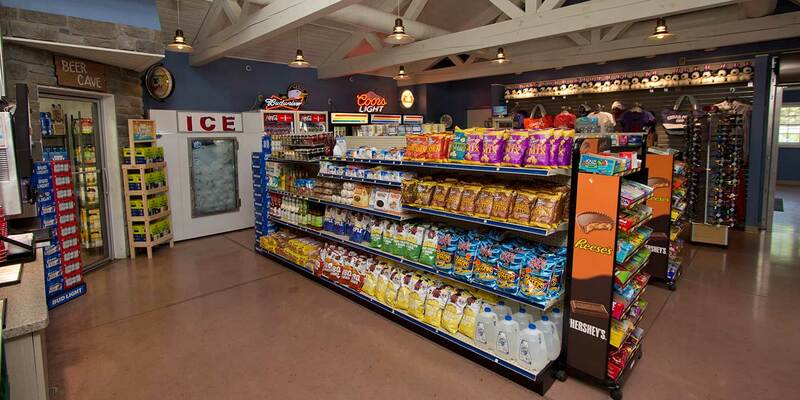 Guests also enjoy property-wide wi-fi and a convenience store as well as laundry facilities and an outdoor pool. Camp with the coasters. 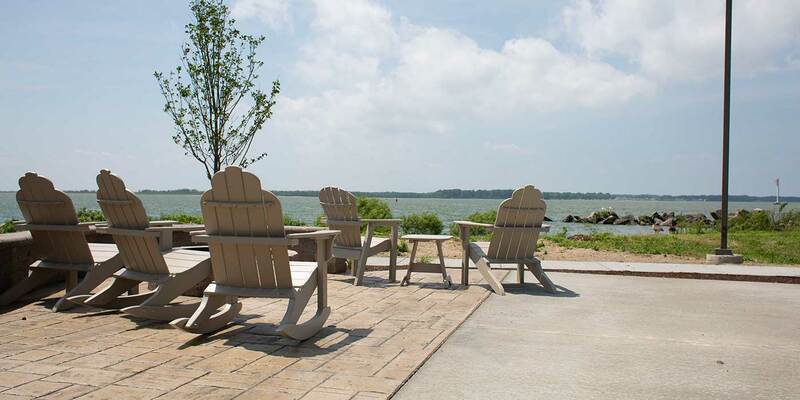 That’s what it’s like at Lighthouse Point, named the Best RV Park in Ohio by Reader's Digest. 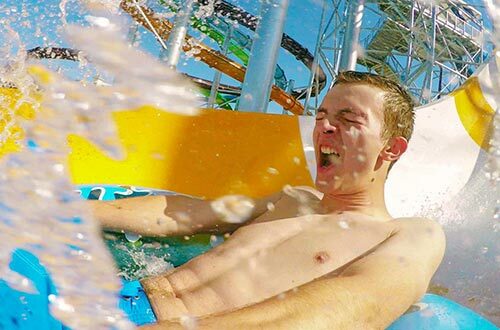 You'll be able to “rough it” just steps away from the most exciting rides and attractions anywhere. 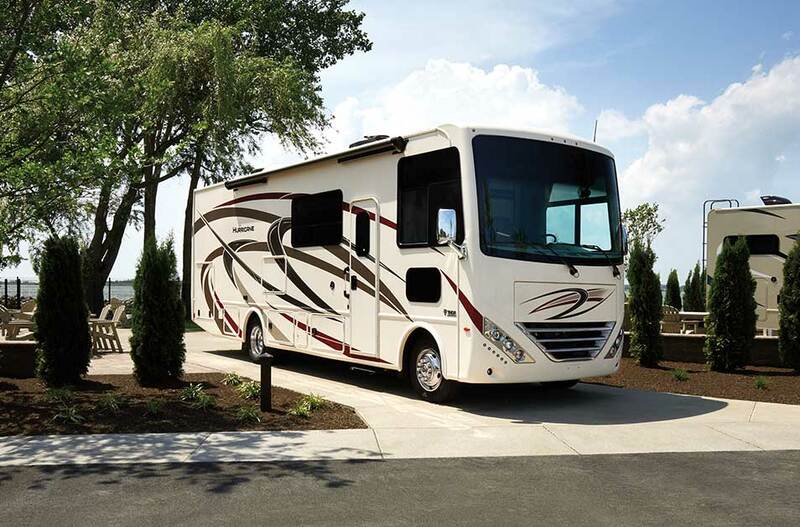 RV sites are available in back-in and pull-through configurations and every site is full hook-up with water, sewer, electric and cable along with a picnic table. All sites are level with concrete pads and include complimentary Wi-Fi. 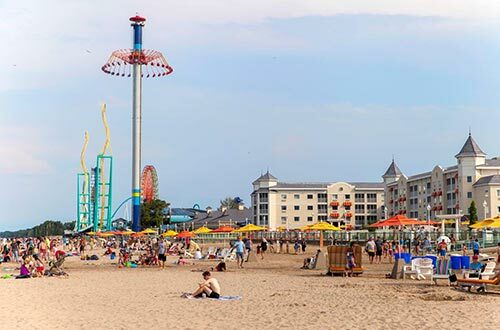 Your site will be just a short walk to Cedar Point, Cedar Point Shores Waterpark and Cedar Point’s famous Lake Erie beach. 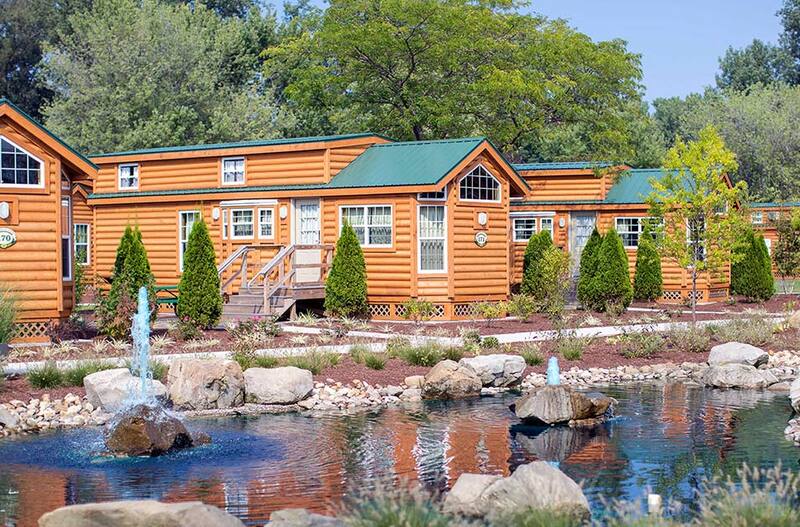 Deluxe cabins sleep up to 10 people and feature a living area with 42" flat screen TV and two futons, a lower level bedroom with a queen size bed and TV, an upstairs loft area with two additional queen beds and TVs plus two full bathrooms with tub, shower and sink. The kitchenette features a sink, dorm-sized refrigerator, microwave and coffee maker. 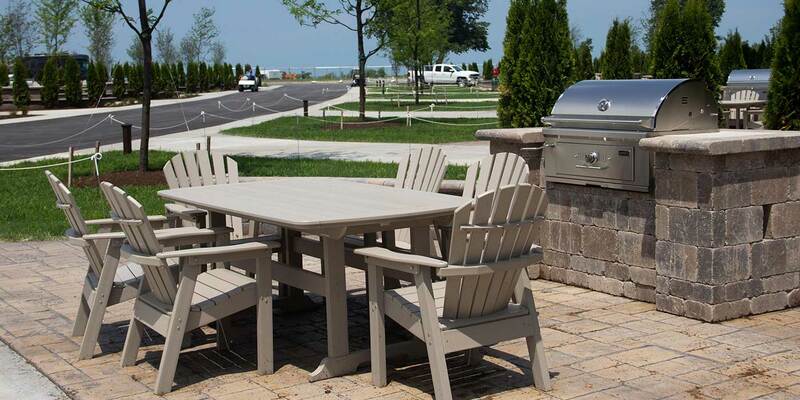 In addition to heating and air conditioning, all units have a patio with picnic table and charcoal grill. Complimentary wireless internet is also available. 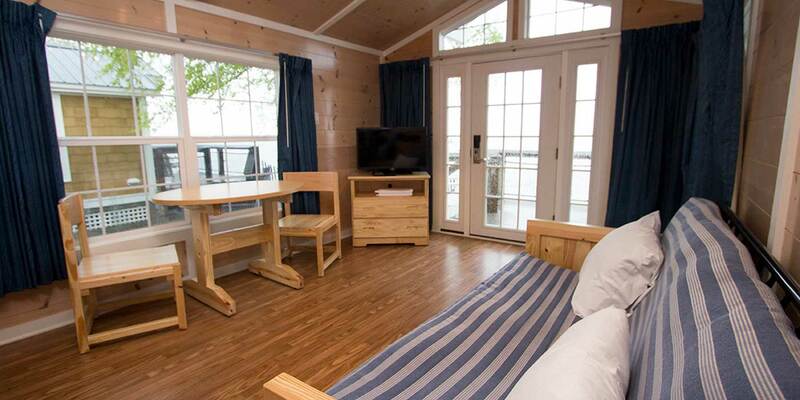 Lighthouse Point Cottages are one-story, lakeside units with a private deck with water views, deck chair and grill. Cottages sleep up to six people with a double bed and bunk bed in the bedroom and a futon/sofa in the living area. Also includes air conditioning, two televisions, full bathroom with shower, microwave, mini-fridge and coffee maker. Cottages are fully furnished with all linens, but dishes and utensils are not provided. Complimentary wireless internet is also available. Lighthouse Point Cabins are one-story units with a loft area, situated inland around a small pond. Cabins sleep up to eight people (bedding is provided for six people) with a double bed in the bedroom and two futon/sofas in the living area. The four-foot loft area can accommodate up to two people (bedding is not provided). Also includes a private patio with picnic table and grill, air conditioning, two televisions, full bathroom with shower, microwave, mini-fridge and coffee maker. Cabins are fully furnished with all linens, but dishes and utensils are not provided. Complimentary wireless internet is also available. Maximum of eight people per cabin. 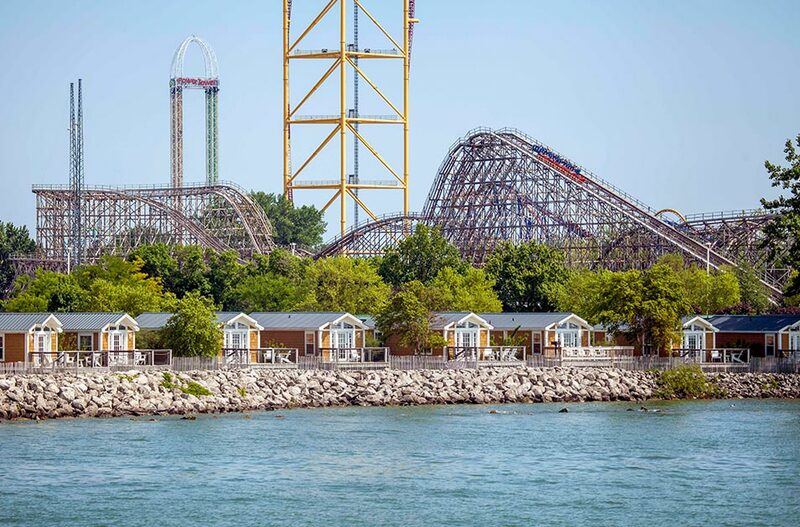 Check in at Cedar Point Hotels & Lighthouse Point Cottages and Cabins is at 4:00 PM and Check out is 11:00 AM. Check In for Lighthouse Point Campsites is at 1:00 PM and Check-out is at Noon. 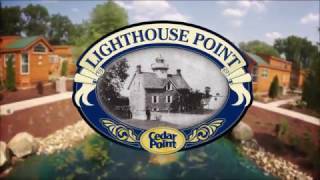 How Far is Lighthouse Point from Cedar Point & Cedar Point Shores? 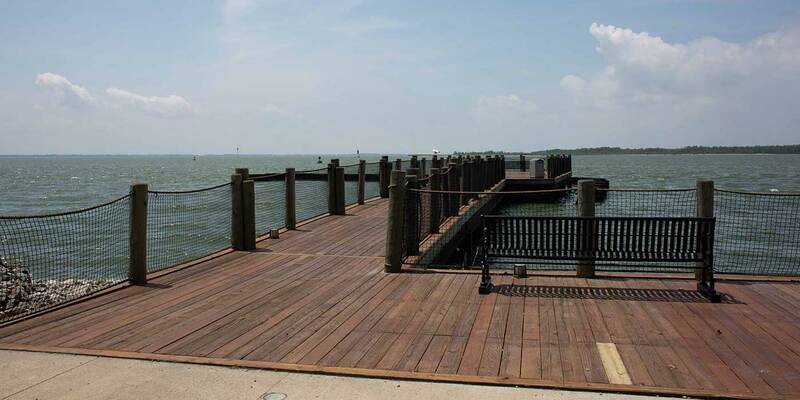 Lighthouse Point is approximately a 10 minute walk from Cedar Point and Cedar Point Shores. A shuttle service is also available for the convenience of all guests. 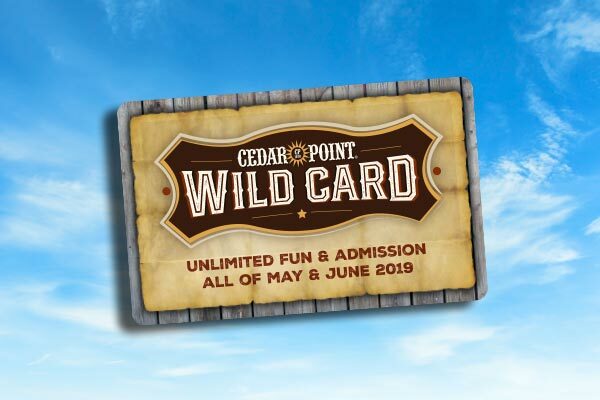 The shuttle service only includes locations on the Cedar Point Peninsula and DOES NOT include stops at Cedar Point’s Express Hotel or Castaway Bay. 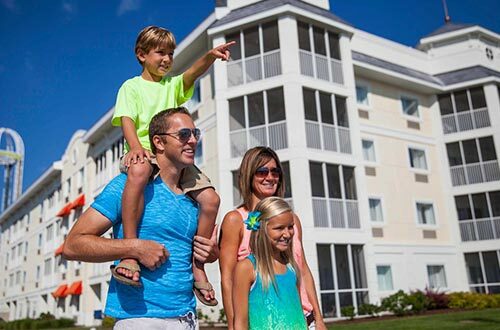 Lighthouse Point has a 24-hour front desk that will be available to check you in any time after check-in time. 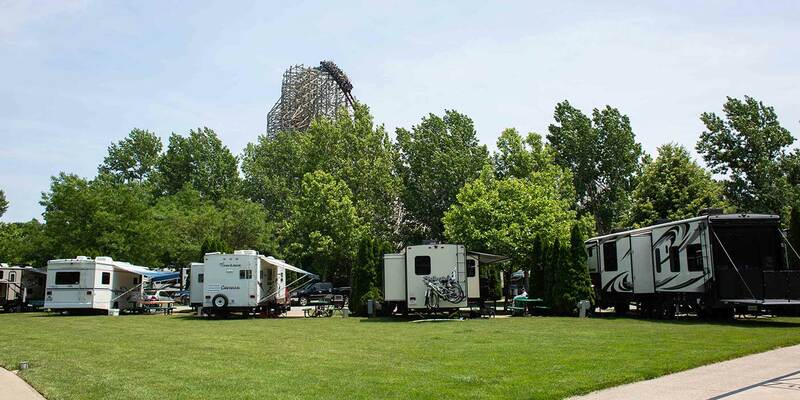 Check-in time for campsites is 1:00 PM and for cabins & cottages it is 4:00 PM. Yes! 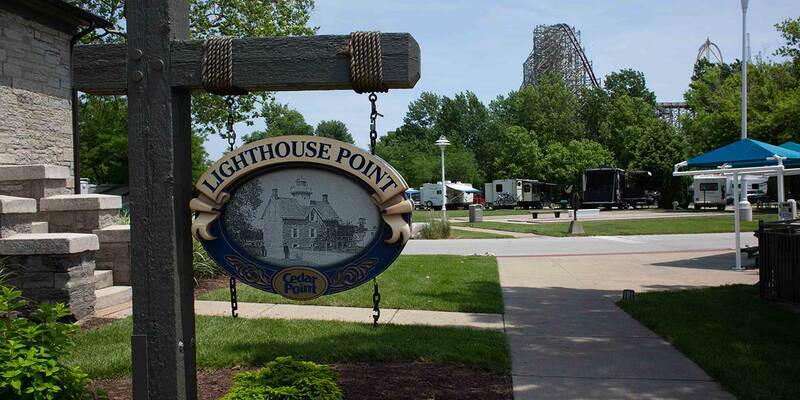 Guests of Lighthouse Point receive free Cedar Point Parking for the length of their stay. Simply provide your confirmation number or scan the bar code on your pre-arrival email at the toll booth to be granted entry. At check-in you will receive a parking voucher that is valid for re-entry until the day after check-out. There is a departure lot in which you can park after check-out to enjoy the park the remainder of the day. 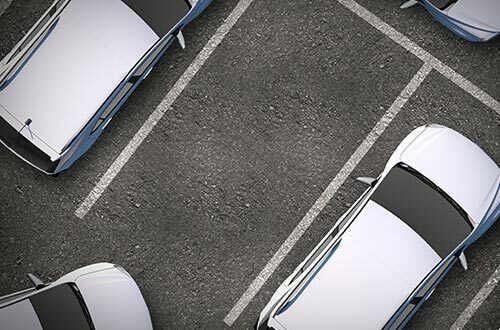 Multiple cars can be accommodated by nearby parking however proximity to unit is not guaranteed. Lighthouse Point guests are not permitted to park at Hotel Breakers. Do the cabins and cottage have kitchenettes? 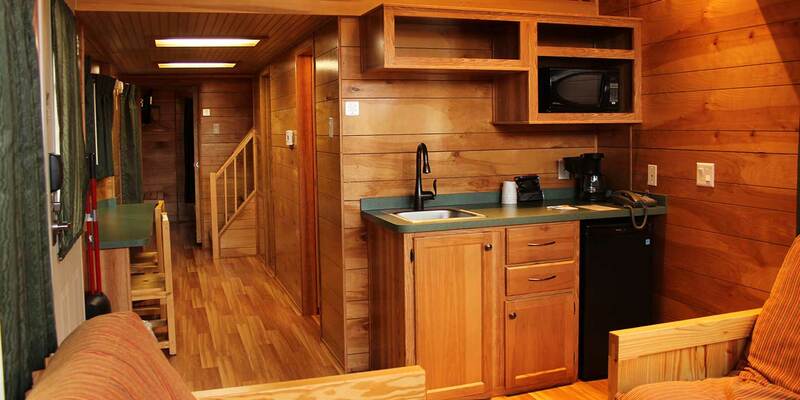 All cabins and cottages feature a kitchenette that includes a sink, dorm-sized refrigerator, microwave and coffee maker. Dishes and utensils are not provided. Yes! 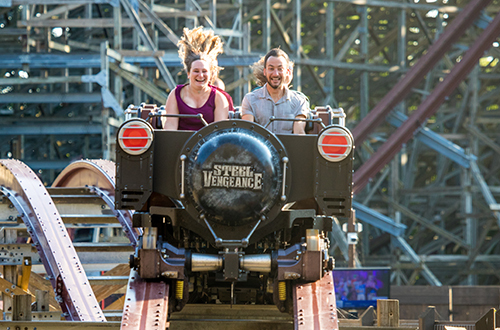 A shuttle service is available for the convenience of all guests. 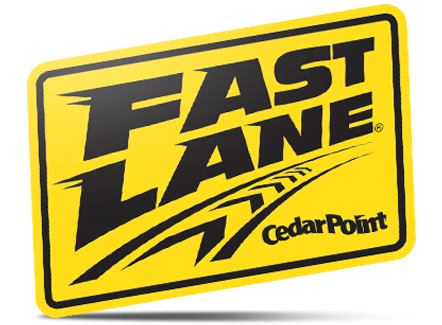 The shuttle service only includes stop locations on the Cedar Point Peninsula and DOES NOT include stops at Cedar Point’s Express Hotel or Castaway Bay. 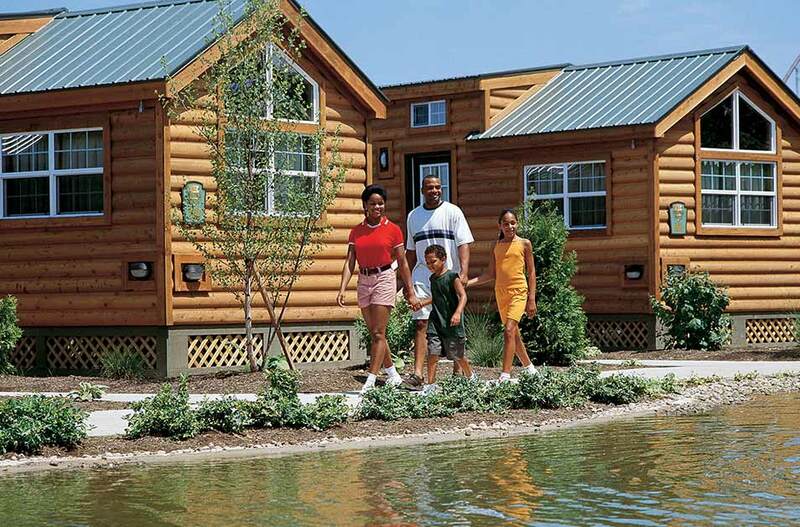 What services are offered for cabin and cottage guests? 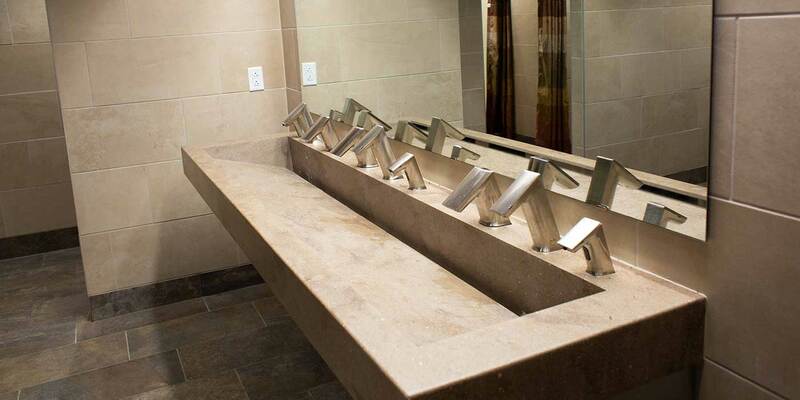 Housekeeping includes trash disposal and towel exchange as well as full service cleaning between guests. Linens are provided. Are sleeping arrangements provided for the cabin lofts? 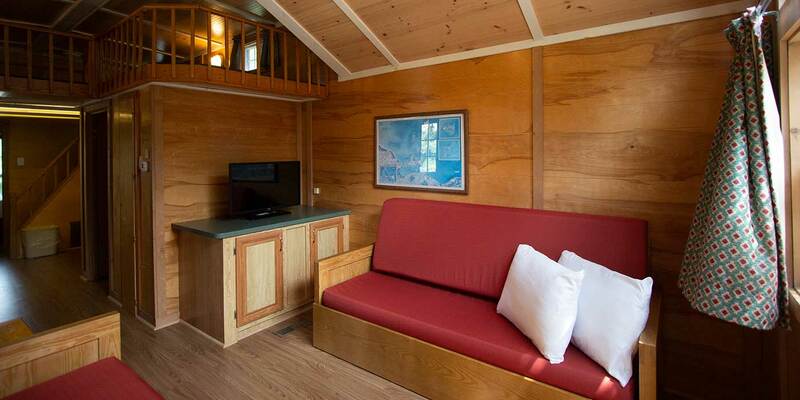 The deluxe cabins offer mattresses and bedding for the lofts however, the standard cabins do not. We recommend that you bring an air mattress or sleeping bag as well as bedding / blankets / pillows / sheets as needed for the standard cabin lofts. What kinds of activities are permitted and or provided? Bicycle riding is prohibited at Lighthouse Point. Swimming is only permitted at the Lighthouse Point Pool and the nearby Cedar Point Beach. Fishing is only available off of the Lighthouse Point Pier. A valid state fishing license is required to fish. 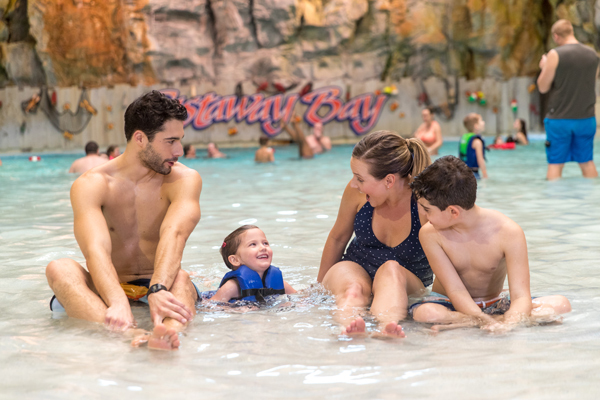 Other activities are available during select days throughout the season. Pets are allowed for campsite guests however pets are NOT allowed inside any of the cabins or cottages. Special accommodations can be made for registered service animals. 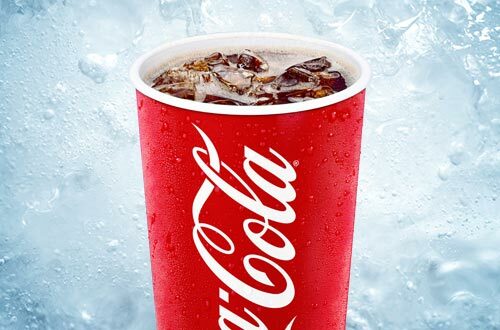 Pets should not be left unattended, nearby day use Pet Chek is available for a nominal fee. What is the address and phone number for Lighthouse Point? 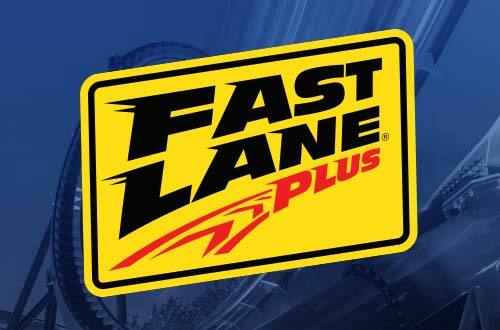 The address is One Cedar Point Drive, Sandusky Ohio 44870 and the telephone number is 419.627.2106.